One pen style felting tool, including 3 felting needles gauge 40. 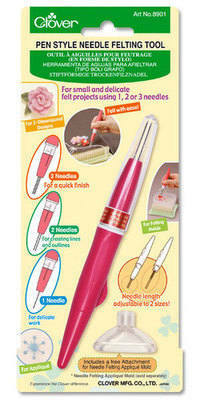 The pen can be used with one, two or all three needles for faster more comfortable needle felting. Also includes instructions of how to use. Care needs to be taken as the needles are sharp!